I’ve been the Head of the Enrichment Program here at Bay Area Chess since 2015, overseeing the 100+ after-school classes and other programs we provide around the Bay Area. Promoting the fun and benefits of chess is my passion, so you’re likely to find me either in the classroom coaching and teaching, or at one of our many tournaments, answering questions and giving out trophies! I picked up chess when I was 12 years old after one of my aunts bought me a set. Up til then, I was a typical kid growing up in San Jose in the 80s. Baseball, tennis, and soccer were my thing; nobody in my family and none of my close friends played chess. But I was fascinated with how all of the pieces moved, and so I quickly taught myself how to play and started hanging out at the Kolty Chess Club in Campbell. This was in its heyday, when the Kolty Club was run by the husband-wife team of Fred and Pat Mayntz and regularly drew 100 players, mostly adults. The strong competition at Kolty, plus my love of the game, helped me improve quickly. By the time I was 15, I was rated over 2000 and ranked among the top 20 in the country for my age. About that time, I stopped playing chess competitively, as work, sports, and school became my priorities. I began working at Valley Medical Center in San Jose, started a family (my son is in his late teens) while earning my political science degree from UC Berkeley. After more than a decade and a half in healthcare, I decided to make a major change. I wanted to do something entrepreneurial that I could also be passionate about. I’d never lost my love for chess. And sensing the need for high-quality chess coaching, I founded Castling Kids in 2012. My first employee was Coach James Bethany. We started with just one class with 3 kids. But through hard work and positive word of mouth from parents, school officials, and, of course, the kids, we grew: 12 schools after the year one, 20 after year 2, and 30 after year 3, by which time we had 5 coaches on staff. You might still remember - or wore! - the red shirts that the Castling Kids club team members donned for tournaments. In 2015, Castling Kids and BayAreaChess merged their enrichment programs, which I took over as their Director. We’ve built up a strong corps of coaches here at BAC that I believe are the best in the business. It’s not just that so many of them are world-class players - see all of the GMs, IMs and masters on our roster - but that they all take the profession of teaching chess seriously, and have a desire to share their passion and love for the game with the kids. While I believe strongly in the intellectual benefits of learning and playing chess, I’m a bigger fan of how chess can teach you resilience, the value of hard work, good sportsmanship and etiquette. Chess teaches you how to fight back when you’re down, how to bounce back from a loss, why determination and preparation are so key, how to win gracefully, and so much more. These are important skills that are applicable in every aspect of ones’ career and life. I’m looking forward to continuing to expand our enrichment programs into more classrooms while maintaining the quality we are known for. I’m also looking to expand our popular strategy games program, headed by Coach James. Teaching kids how to create logic and probability-based games provides the same intellectual benefits of chess, and the emotional satisfaction out of creating something new and original. Based on the reception so far, we think schools, kids and their parents are going to love this! In my limited free time, I’m a movie buff and a sports fan. But it’s more than an OK trade off: making a living by promoting chess is literally a dream come true. It is an exciting time to see the growth and innovation in chess and strategy/logic games, and it is truly amazing to be part of an organization on the cutting edge of ideas, as well as fantastic service and growth. It just goes to show the power of self-belief and following your passions to the very end. With faith and hard work, good things do happen. 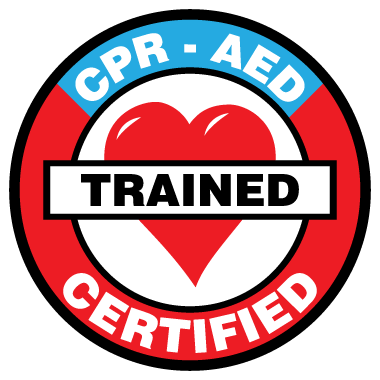 Abel is RedCross certified in adult, child and baby First Aid, CPR, AED. Abel has completed the VIRTUS online training for the Diocese of San Jose.